Obituary for Isabella Howard | L.E. 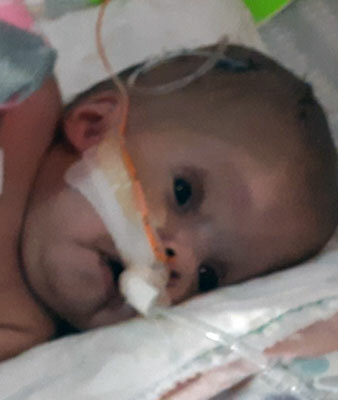 Black, Phillips & Holden Funeral Home Inc.
Services will be 10:00 a.m. Saturday, March 30, 2019 at the L. E. Black, Phillips & Holden Funeral Home for Infant Isabella Howard, 2 months old, whom the angels of the Lords with love carried to her heavenly home, after being ill from birth. Isabella was born January 16, 2019 in Pittsburgh, PA, a daughter of Minister Justin Whitney and Lena Nicole Karshner Howard. Isabella leaves to cherish her sweet little memories, her parents; four sisters, Gabriella and Angolina Karshner, Aubrey and Brianna Howard all of Youngstown; a brother, Devon Farley of Youngstown; grandparents, Robert and Paula Karshner and Minister Ta’nya Crayon; aunts, Patricia Clark and Artrena Turner; uncles, Gabriel Smith, Robert Karshner and Bryan Clark; and a host of family and friends. Friends may call from 9:00 – 10:00 a.m. at the funeral home.